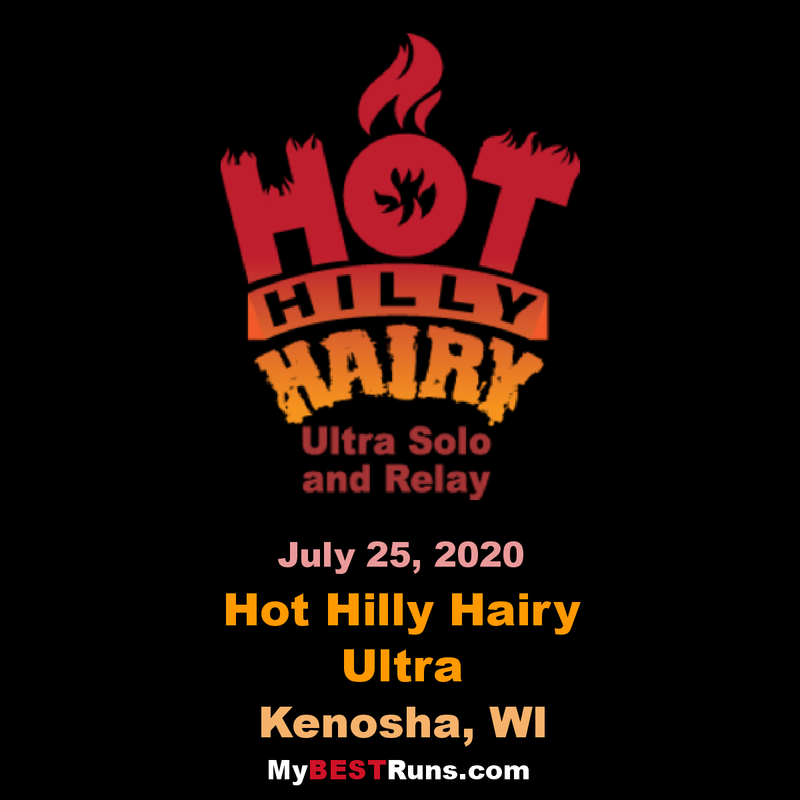 The Hot Hilly Hairy Ultra Solo and Relay is truly a one size fits all event! HHH is run in conjunction with the Hilloopy 100+ Mile Relay, This is one heck of a RUNNING TAILGATE PARTY! Please note there are NO CUT OFF TIMES for any distance. Taking place on the Wayne E. Dannehl National Cross Country Course on the campus of the University of Wisconsin - Parkside. Housing is available on campus, yes dorm rooms, time to relive those years gone by! Ultra-Monsters will relish in the challenge of The 18 Hour Death March, in which we track how many loops of the 5K course you can complete between the hours of 6 a.m. and midnight. If you are less of a Monster and more of a Beast, there are several other ultra-distances to choose from including an 85K and a 50K, or you can take The 65K Dragon Dare by running a 30K at 6 a.m., a 20K starting at noon, a 10K at 6 p.m. and the Charge the Knight 5K at 9 p.m. The looped 5K course, allows you to set up your personal aid station by the start/finish line which will have designated tables for ultra-runners in addition to two general aid stations on the 5K course. Best of all there is no time limit to finish your distance (official timing ends after 20 hours). If you love the trails, but not the longer distances, you can choose from 30K, 20K, or 10K distances. The 20K and 10K events each have three different start times, (6 a.m., noon, and 6 p.m.) so they can fit easily into any summer schedule. If you are a creature of the night, we would love to have you join us for the Charge the Knight 5K! With headlamps lighting up the trails what could be more fun! This race starts at 9 p.m. and will be one loop of the UW Parkside 5K course! For those who would like to run a relay, but aren’t interested in running over 100 miles, we have something for you as well! The Hot Hilly Hairy has an 100K lrelay, 85K relay, 50K relay, and 30K relay. There are no limits to the number of teammates and there is no limit to your amount of fun! Hot Hilly Hairy relay teams can set up their home base alongside the Hilloopy Teams so resting runners can chill and cheer with like-minded individuals! This is definitely a tailgate party-like environment and you are encouraged to bring family and friends to enjoy this great event, and have some fantastic food and craft beverages. We will have a DJ playing music throughout the event, live status time and place updates on a 36" screen. Runners and Walkers are welcome to embrace whatever distance they feel they can finish.